← Are You Born with Vitiligo? The word incisor came from the Latin word “incidere,” which means to cut — and that is what our incisors do for us. The sharp edges on the bottom of our incisor teeth cut the food we eat. They may look flat, but incisors are convex or curved towards the back of the mouth. Another trait of an incisor tooth is that it has one single long root, unlike molars, which usually have 2 to 3 roots. Incisor and cuspid teeth are categorized under the anterior teeth. These are the six front teeth located on both sets of jaws. The posterior teeth are in the back of your mouth and do the chewing and grinding of food. Central incisor teeth are at the very front and center of your jaw. The upper central incisors are the largest and often most prominent of the incisor teeth. Each lateral incisor tooth is on either side of a central incisor. The lateral incisor teeth are distal or moving away from the center of the mouth. If you take a look in the mirror, you’ll notice that upper lateral incisors are smaller than the upper central incisors. Lower incisors are more diminutive than upper incisor teeth, and lower central incisors are the smallest teeth in your mouth. When your bite is in perfect occlusion, each upper incisor tooth should overlap the lower incisor beneath it. A malocclusion is a common incisor teeth problem. A crooked teeth and misaligned jaw can result in a cross bite, overbite, or under bite, making it difficult for the incisor to do its job properly. When a malocclusion is complex, dental braces are used to correct the bite. If there is just a slight malocclusion in the anterior teeth, veneers can fix the problem. 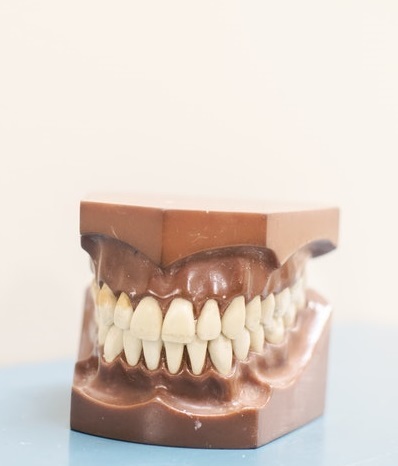 Anterior teeth are longer, thinner, and weaker than posterior teeth, making them more likely to chip or break. Incisors are also subject to cavities and other dental problems that are common in molars. Because of the incisor teeth’s prominent placement in the mouth, tooth stains are often more noticeable than on any other teeth. Regular dental visits and oral hygiene can prevent dental problems from affecting incisor teeth. This entry was posted in Dental Camera and tagged common problems with incisors, types of incisors. Bookmark the permalink.